Why Are There Police in Monty Python and the Holy Grail? I recently revisited one of my favorite comedy films with my friend and colleague, Dr. Meg Roland. 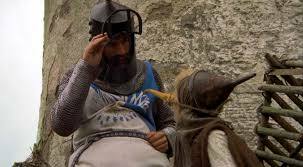 Meg is presenting a short talk at the Oregon Museum of Science and Industry (OMSI) this week in advance of their screening of Monty Python and the Holy Grail. Meg is probably one of the top medievalists on the west coast, so it’s no surprise that she would be asked to give her professional opinion of the English troupe’s take on the legend of King Arthur. Meg’s a good friend and I was happy to play along, but I didn’t expect watching the film to touch on my own scholarly interests as heavily as it did. I hadn’t actually watched Holy Grail for probably twenty years, but I’d seen it so many times in high school that my friends could quote long passages from it verbatim in outrageous British accents. Okay, yes, I might as well admit it. I was one of those socially awkward nerdy kids who felt more at home with the tabletop adventures I had playing Dungeons & Dragons than I did venturing across the darkened auditorium at a high school dance to brave asking one of the girls to dance. This was way before being a nerd was cool. Believe me, it was painful at the time. In the old days, when I would watch Holy Grail with my friends and quote the lines along with the actors, we tended to ignore the strange intrusions of the stuffy historian killed by the knight and the subsequent interruptions by the uniformed police trying to arrest the professor’s killer. But imagine my surprise in discovering upon re-watching the film now that these oddly modern intrusions by the cops, the weird interludes that formerly seemed to disturb the magic and humor of Arthur’s quest, can actually be seen as advancing a relatively insightful argument very closely related to my own scholarly interests. A lot of the laughs in the film derive from the conflict between pre-Enlightenment and post-Enlightenment modes of thought. The witch trial scene, for example, gives us poignant parody of scientific thought where pre-Enlightenment thinkers struggle to understand cause and effect. The rabble, of course, doesn’t care about mastering logic. They just want an officially sanctioned excuse to burn the poor woman they’ve dressed up as a witch. King Arthur and Sir Bedevere are earnestly trying to gain a deeper understanding of natural laws, even as their bumbling attempts spark our laughter. But this push toward post-Enlightenment thought is telling because the rise of science and rationality ultimately spells the end of the myth and magic of King Arthur and his knights as well as the pageantry and glory of monarchy and church. At the core of the cultural shift during the Enlightenment is a radically new way of understanding truth. No longer would Truth come from on high, handed down by God through his chosen representatives on earth. The new truth becomes understood as a narrative construction told from interwoven and sometimes contradictory points of view. Consider how the scientific method works. We come up with a hypothesis and then we test it against evidence. If the original hypothesis doesn’t account for all the available evidence, we must revise it. Our courts of law start to work in the same way. Rival lawyers develop competing narratives. Juries decide which story seems to best explain every existing piece of evidence. Once the jury votes, the judge declares that version to be the verdict in the case and pronounces a sentence. The post-Enlightenment gives rise not only to new forms of government, like American democracy, but also to police forces charged with maintaining law and order on behalf of the citizenry. Initially the police are only charged with preventing unrest and stopping crimes in progress, but fairly quickly it becomes clear that the police and courts need a way to deal with crimes that have already been committed but for which there is no clear culprit. 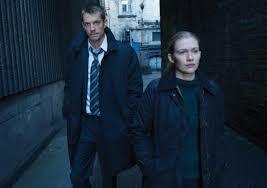 They need specialists who can apply the scientific method to solving mysterious crimes and serve as consultants to the police. They need the detective. Not coincidentally, the detective figure becomes the hero of our new post-Enlightenment literature. The Enlightenment had already destroyed the magic of Arthurian romance, so we needed a new heroic to populate a new sort of “realist romance,” a figure who could embody the ideals of the new era. We need somebody who can arrest our long-standing enthusiasm for these ridiculous stories of knights and sorcerers and holy grails. 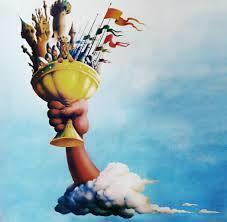 That’s precisely the exchange enacted by the close of Monty Python and the Holy Grail. After all the fun and laughter and silliness, we need to be serious grown-ups who establish law and order. The film’s tweed-clad historian is slaughtered by a knight after he breaks the fourth wall, addressing the audience about Arthurian stories as if they were fiction. The irony, of course, is that the historian and his ilk are the ones actually killing off the old tales (at least metaphorically), even if the knights are better armed. Culturally speaking, Arthur and his knights are living on borrowed time. Eventually, the police arrive at the end of the film to dispel illusion entirely as they stop the action, throw Arthur into the back of a police van, and then break the film’s fantasy entirely by shoving the cameramen away, and placing a hand over the lens, and saying it’s all over. There’s nothing to see here, folks. Move along. But of course we can’t give up on these tales. We love our heroes. We need somebody who can replace the old quests with a hero’s quest of this own, which is precisely what detective stories do and why they follow almost exactly the same pattern as the older quest stories. 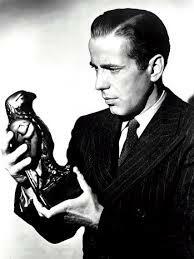 We swap the holy grail for the Maltese Falcon and we’re back in business. The first and most superficial meaning of the show’s title refers to the cases that Special Agents Mulder and Scully work during the series. Within this diegetic framework (that is, within the fictional world of the show), the X-Files are a collection of FBI “cold cases” that have not been closed because they contain one or more elements that lack plausible, rational explanations. As such, the X-Files are quite literally the mysteries being investigated. The series is launched in the pilot by Agent Scully’s new assignment as Mulder’s partner. The pairing makes sense because Scully’s training as a medical doctor gives her the enlightened rationality that Mulder seems to lack. If Mulder is too gullible, Scully is a skeptic. Also, even though Scully is putatively the junior partner with less experience in the Bureau, her FBI supervisors make clear to her that her job is not only to work with Mulder to close X-Files by finding rational explanations for them, but also to keep an eye on Mulder personally and to report back to the supervisors about his questionable activities. So, the agents’ job is to research and to close these X-Files, but of course the logic of the series quickly reveals itself. Mulder and Scully are confronted with some answers but not all, and most episodes end by maintaining the insolvability of the mystery in question. The X-Files can never be fully closed because the “truth” of each case never allows itself to be read. Another way to read the title of the series is to see the X as representing “ex-“ the Latin prefix for “out of” or “from.” As a prefix, ex- can also mean former. As a preposition, the word ex often means “without” or “excluding.” Tying this back to the internal logic of the show, these then are files that are outside or not included in the main body of files. They are outliers, both literally and figuratively. This descriptive way of looking at the X-Files then also makes a clear allusion to the show’s obvious antecedents in American television. Both “Twilight Zone” and “Outer Limits” presented similar types of episodes that explored the supernatural, the creepy, and the weird. Not surprisingly all three of the shows have titles that refer to their status as being somehow outside normal experience or existing in a some sort of a liminal space. The “twilight zone,” for example is neither day nor night but always in between. Again, I haven’t been researching the show, but I wouldn’t be surprised if Chris Carter, the creator of The X-Files, cites these other shows as influences on his own series. In fact, I’d be surprised if he didn’t. Continuing this idea of the X-Files belonging to a liminal space, the X in the title is also the Greek letter chi that is often representative of a crossing over or a transition. We see this in everyday usage on road signs that say “Xing” rather than spelling out the word “crossing.” In that sense, the title of the series suggests that it offers place of transition or crossing over for its characters and its audience. 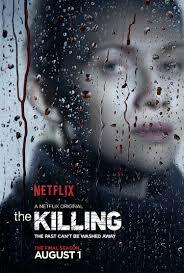 Finally, as a label for the series, this title possesses a final key virtue: it is at once familiar and unfamiliar (which, by the way, is precisely Freud’s recipe for the uncanny). For now, we can just observe that we know what files are. They’re boring, mundane collections of information. Whether on the computer or in manila folders in a big metal cabinet, most of us probably have to deal with files at work all the time. But we don’t initially know what the X stands for, so this adds a dimension of mystery to the title and makes it all the more memorable. Further, our experience of the show corresponds directly with this initial hit from the title. The X-Files follows the basic pattern of a police procedural with federal agents, the structure of each episode is familiar. A crime or other mysterious event happens, Mulder and Scully go to investigate, they find clues, begin to structure plausible solutions, etc. Yet the discoveries these detective figures make are often unexpected and sometimes defy explain within the normal limits of modern rationalism. That this standard-issue, late 20th-century rationalism itself has an ideological agenda is where the show begins to venture into conspiracy theory. We tend to imagine that at least as far as science and technology go, we live in a post-ideological world, but The X-Files clearly wants to challenge this notion. Still, I’ll leave that can of worms on the shelf until a future post. 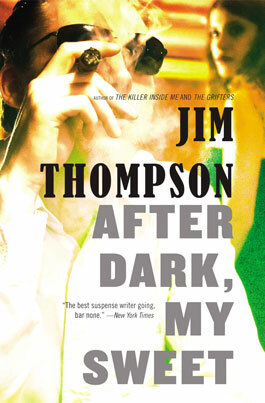 I’m thrilled to see that Mulholland Books has reissued such a sizable chunk of the Jim Thompson oeuvre. 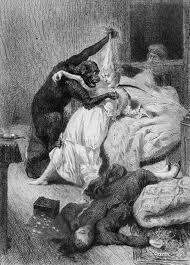 The time is ripe for a new generation to discover this “Dimestore Dostoyevsky,” as noir scholar Geoffrey O’Brien dubbed him in the afterward to Black Lizard’s 1986 edition of After Dark, My Sweet. The Vintage arm of Random House sensed that Barry Gifford and company were onto something and snatched up the Black Lizard imprint. Vintage subsequently made quite a few Thompson novels available in the more aesthetically pleasing trade paperback format. Still, those books came out over twenty years ago and can be hard to find. Sadly too, Vintage quit digging so deep into the catalogue of forgotten writers like David Goodis and Harry Whittington and used their version of Black Lizard mostly to produce new editions of Chandler and Hammett who are formidable talents of course but who had already been readily available. As I argued in my own Master’s thesis a few years back, Thompson still deserves a much larger audience than he’s ever managed to attract in the US, but his vision is perhaps too unrelentingly dark to achieve mainstream acceptance here. Thompson’s Marxist sympathies shine through in his savage critiques of America’s capitalistic positivism and that makes folks uneasy. So too does his insistence that criminal misfits and killers are not the monstrous others we’d like to believe; the ugly face of humanity is right there in the mirror if we’re willing to take an unflinching look. 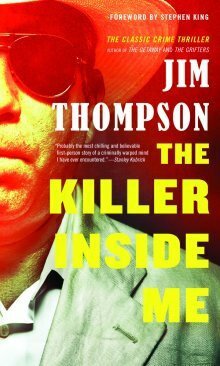 Indeed, Jordan Foster gets it exactly right in the title of her piece for Publishers Weekly: “The Killers Inside Us.” This is the mark of Thompson’s break from our post-Enlightenment pieties. The French get Thompson, which is perhaps why we still use the French word noir to describe this sort of crime fiction. The best film adaptation of a Thompson novel is probably still Tavernier’s Coup de Torchon, which moves Pop. 1280 to French West Africa. As O’Brien writes in that afterward, the average reader of mystery fiction “wants his anxieties alleviated, not aroused,” which is why cozies are so popular with invalids and retirees. And perhaps it’s true that most crime fiction is essentially “conservative” in that it tends to resolve any rupture in the social order (such as murder or theft) by reasserting that order and ensuring that the lawless are appropriately punished. But Thompson doesn’t work that way. 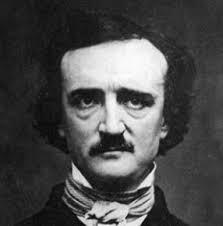 A relentless experimenter in literary forms, he continually breaks genre conventions to claw through that paper-and-ink barrier that separates author and reader. The end of Savage Night is a case in point, but there are plenty of other examples. One of Thompson’s crazed narrators unravels so completely that divergent voices occupy alternating lines in the final pages of the novel. Personally, I’m seizing on this excuse to refresh my memory of some favorite titles and revisit the ones I don’t recall as well. 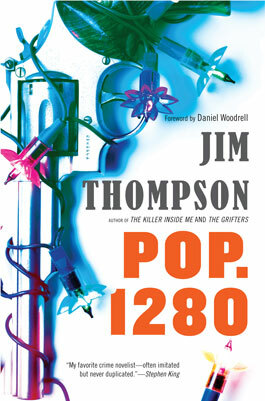 Thompson’s work always rewards multiple visits and he scarcely ever wrote a novel longer than 50,000 words. Cheers to Mulholland for reissuing these novels with new forewords by a number of today’s best crime writers (with a few curious omissions). Here’s hoping Thompson gets under the skin of a whole new generation of readers. Thanks to Netflix streaming services, I’ve recently been re-watching The X-Files in order from the beginning. I have an abiding interest in conspiracy theories so the show is a natural fit for me. However, while I enjoyed the numerous episodes I saw back during the show’s original run from 1993 to 2002, my life at that time wasn’t such that I could watch anything too religiously. So I missed a lot. For the most part, the episodes worked as stand-alones since this era when shows like The X-Files and Buffy the Vampire Slayer were first pioneering their ideas of multi-season story arcs, a bold move back in the 90’s, before the advent of Netflix or Hulu or other “on demand” television providers. It’s true that shows were released on VHS tapes but these still had nowhere near the social currency currently enjoyed by DVD boxed sets in the 2000’s, and they lacked the commentary tracks, alternate takes, and other special features now routinely available on DVD. The release of shows in DVD boxed sets marked the potential for endless re-watching, but binge-watching a series doesn’t seem to have gained quite the popularity it currently enjoys until shows started appearing via online streaming. As few as five or ten years ago, you still would have had to swap out the DVD in your machine every hour or two. Now you don’t even have to buy anything, just subscribe to an inexpensive monthly service, and if you do nothing but keep watching, Netflix streaming will run episode after episode of a show one full season at a time, and it even conveniently edits out the opening credits so you don’t have to sit through those repeatedly. Instead, you can stare in full spectatorial wonder without so much as touching your TV’s remote or the screen of your iPad from sunrise to sunset. Or perhaps, as is more commonly the case, from sunset to sunrise, when you groggily turn on your side and hope to catch a short nap before the world expects you as a civilized person to make your first dignified appearance for the day. I’m not much of a binge-watcher, but clearly the current technology has opened new frontiers in sleep deprivation and social catch-up-ism. Miss the first season or three of that show everyone seems to be gabbing about at the water cooler? No problem. Just bluff your way through a cursory chat and then power through the requisite material over the weekend. Just like with Wikipedia and Shazam, we’ve never had such rapid ability to fake and amass cultural literacy. There’s really no excuse anymore for not watching everything. Personally, I tend to watch shows and films like I read books, slowly to savor them and to give some attention to detail. For me, the joys of analysis always overmatch our contemporary drive for sheer consumption. I recall a few terms back when I had an undergrad boast to me that his Netflix queue showed that he’d watched over 10,000 films, but I wasn’t overly impressed by this factoid since he had a hard time performing a decent critical analysis of any of the stories or novels we read in class. Shoveling massive amounts of media into your head doesn’t mean you’re actually digesting it,, which is why I have a bit of a hard time watching things that don’t satisfying my interpretive impulse. Fortunately, only half way through the first season I’m already finding The X-Files holds up. Yes, the clothing and hairstyles are a bit dated. And the technology is occasionally quaint, like when Scully gets paged at dinner and needs to find a pay phone or when Mulder develops old-fashioned rolls of film in a chemical bath or gets lost in the woods and can’t call anyone for help or look up his location on GPS. But these are minor details. The central premise of the series and various phenomena and conspiracies taken up by the individual episodes are still as rewarding and intriguing as they ever were. I’m taking notes as I go and plan to use episodes along the way to launch into broader discussions here. For example, the pilot starts with the reliable and rational Scully first receiving her assignment to work with conspiracy-minded Mulder. Her exchange with the FBI bosses and her subsequent initial encounter with Mulder warrant some closer scrutiny. Similarly, the second episode, about a missing Air Force pilot, contains the series’ first truly uncanny moment and it’s something I think could serve as the basis for a larger exploration of Freud’s notion of the unheimlich. Not that all my planned posts will be so densely theoretical, diving into psychological or philosophical esoterica. Not at all. It’s television after all. It’s meant to be entertaining. So you can count on me to also explain why I think The X-Files could be looked at as the anti-Scooby Doo. See, fun! Finally, this particular post launches a couple new categories for my blog, “television” and “conspiracy theories.” I’m hoping the introduction of both these topics will prompt me to blog more regularly. Next time I write about The X-Files, I plan to start by examining its trio of catch phrases: “The truth is out there,” “Trust no one,” and “I want to believe.” Evocative statements, but what does each of these really mean?